The straight line can be seen in the plot, showing how linear regression attempts to draw a straight line that will best minimize the residual sum of squares between the observed responses in the dataset, and the responses predicted by the linear approximation. Find the least square regression line for the given data points. Plot the given points and the regression line in the same rectangualr system of axes. The sales of a company (in million dollars) for each year are shown in the table below. Find the least square regression line . 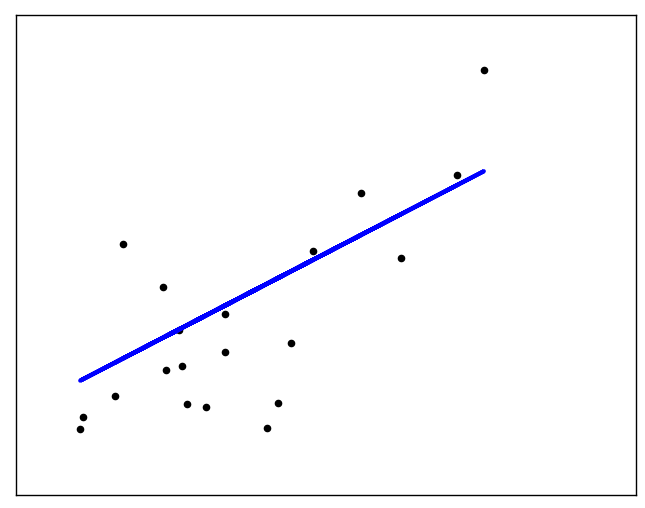 Use the least squares regression line as a model to estimate the sales of the company in 2012.